Catch size is either the minimum or maximum length of a fish or crayfish that may be taken out of the water legally. The length of a fish is measured from the tip of the jaw to the tip of the extended and squeezed-together tail fin. Catching fish smaller than the minimum catch size and larger than the maximum catch size is prohibited. The catch sizes are defined in the Fishing Decree. A Centre for Economic Development, Transport and the Environment (ELY Centre) is a regional administrative body of the Finnish government housing the fisheries unit, a district organisation for fisheries management that works under the Ministry of Agriculture and Forestry. There are three such units in Finland. These fisheries units have a total of 11 service points that provide guidance and information on fishing-related matters. The fisheries management fee is a tax-like fishing fee collected by the Finnish State. If you intend to fish in Finland and you are between the ages of 18 and 64, you must pay the fisheries management fee. The payment of this fee is not required if you are only ice fishing, hook and line fishing or fishing with a simple herring rig. Paying the fisheries management fee grants you the right to fish with a single rod in nearly the entire country. Payment of the fee also grants anglers the right to recreational fishing in the Finnish economic region and in the Finnish waters in the Baltic Sea. Fishing supervision: The police, fishing authorities, customs and border guard authorities, Metsähallitus wilderness inspectors and officially accredited fishing supervisors have the right to supervise adherence to fishing regulations and legislation. These authorities also have the right to confiscate all illegally caught fish and the fishing tackle used to catch them. A fishing area is a statutory cooperation body that consists of joint ownership associations, water area owners and amateur and professional fishers' associations. It is formed over the territory of one or more municipalities to function as a coherent fishery unit. There are a total of 225 fishing areas in Finland. The fishing areas will be replaced by the new Fishery areas as of the beginning of 2019. No fishing zone: Authorities may prohibit hook and line fishing, ice fishing and lure fishing in certain areas. ELY Centres also have the authority to prohibit these forms of fishing as detailed in Section 54 of the Fishing Act. Fishing may also be prohibited on the basis of some other law or decree. Fishing rights holders can be joint ownership associations or private owners or lessees of water areas. Fishing rights holders are primarily responsible for organising fishing and fisheries management in their waters in accordance with the principle of sustainable use. Fisheries management: Metsähallitus uses the proceeds from fishing permits to manage and maintain Finland's fishing waters and fishing practices and also to notify the public of such efforts. According to the Act on Metsähallitus, fishing-related matters are administrative duties, which means Metsähallitus does not make a profit on the sale of fishing permits. Fisheries management is one of the avenues through which the proceeds from fishing permits return to the fishers. In addition to fish stocking, fisheries management comprises of a multitude of methods for affecting fish stocks and the quality of Finland's fishing waters. The efforts to support and revive valuable fish stocks may be based on renovating their living environments in both running and still waters, removing obstacles to fish migration, the "extensive fishing" of less valued species to correct the structure of the fish stock or on simply regulating fishing with permits. Hook and line fishing is a general fishing right which does not require a permit and is free of charge. In the Fishing Act, hook and line fishing is defined as fishing using one rod and hook without a lure or a reel that is suitable for casting. A joint ownership association is an administrative body formed by the stakeholders of a fishing water area that belongs jointly to several properties. The activities of a joint ownership association are regulated by the Act on Jointly Owned Areas, the Fishing Act and the joint ownership association's own rules and regulations. A joint ownership association is responsible for organising fishing and fisheries management in their water area as defined in the Fishing Act. Ice fishing is a general fishing right that does not require a permit and is free of charge. In the Fishing Act, free ice fishing is defined as fishing with one short rod and a vertically moving pilk lure connected to a fishing line. 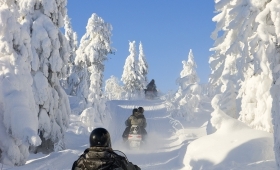 However, ice fishing is prohibited in the rapids and shoots of waterways with migratory fish stocks and in certain other water areas where fishing has been prohibited on other grounds. Trap fishing means fishing with fishing nets, katiska traps and other stationary traps. Trap fishing requires a trap and net fishing permit. This permit covers the majority of state-owned lakes. However, the use of stationary traps in state-owned rivers and small ponds is prohibited. Protection period is a period of time during which catching a certain fish or crayfish species is prohibited. 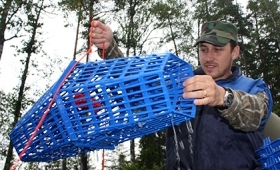 During this period, keeping traps in the water that are especially intended or suited for catching the protected species is prohibited. If a protected fish or crayfish is caught in a trap, it must be released immediately. Crayfishing season begins at noon on 21 July and ends on 31 October. 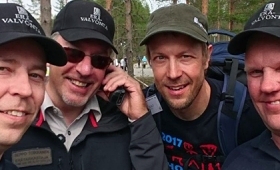 In Lapland, crayfishing season begins on 1 August. Crayfishing requires a crayfish permit. In crayfishing, it is crucial to be able to differentiate between the native European crayfish and the invasive signal crayfish, and to understand why the prevention of the spreading of the crayfish pest is the most important job of the crayfisher. Before getting into crayfishing, one should therefore carefully study the relevant guidelines and instructions. Catch feedback is collected by Metsähallitus so that different fisheries management activities such as fish stockings may be planned appropriately. 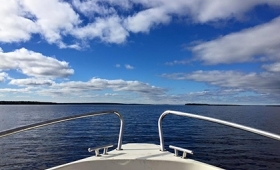 When an angler submits a fishing catch report after fishing at their favourite destination, for example, they participate in the management of those waters. When it comes to trap fishers, the catch reports submitted by net fishers are especially important. You can submit catch feedback at www.tuikki.fi. 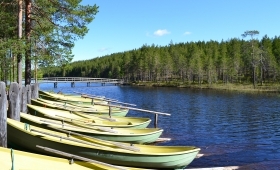 Recreational fishing in Finland is conducted at special destinations designated for the purpose. These recreational fishing destinations provide especially enthralling settings for fishing as well as especially interesting fish stocks. Recreational fishing requires a separate, destination-specific angling permit. ELY Centres have the authority to restrict general fishing rights in certain areas. General fishing rights are not in effect in the rapids and shoots of waters with migratory fish stocks or in those water areas where fishing is prohibited on some other grounds. Public water areas (in lakes) are the open parts of certain major lakes (Höytiäinen, Inarijärvi, Koitere, Lappajärvi, Orivesi, Oulujärvi, Puruvesi, Pyhäselkä ja Päijänne) where the residents of the surrounding municipalities are allowed to hook fish without any additional permits. Public water areas (in the Baltic Sea) are sea water areas outside of the borders of townships where recreational fishing is permit-free (persons between 18 and 64 years of age must pay the fisheries management fee). The borders of public waters are found in most basic charts and also online at www.retkikartta.fi.